NORTHEAST– East Aldine District hosted a meeting last Tuesday, May 24 at 6:30 pm at Escamilla School, to inform homeowners in the Inwood Place Phase 2 area about details of their new water service. East Aldine is working with the Harris County Public Infrastructure Department, to bring city water to about 100 homes in the area that have had wells until now. New water lines will be built on Hartwick and Allwood Streets, and homeowners will have the opportunity to connect to them. However, they will have to agree to abandon their present wells, because the city is mandated to use surface water instead of underground sources, to reduce subsidence. After the homes are connected to the new water lines, they will become customers of the City of Houston Water Department, paying reduced rates. More information is available from East Aldine’s Richard Cantu, 281-595-1220. We are excited to announce that the Aldine ISD Virtual School Department, in conjunction with the Texas Virtual School Network (TxVSN), will be providing online courses to all eligible Aldine ISD students for a nominal $25.00 administration fee. This program is restricted to AISD students who are seeking credit recovery, original credit, or dual credit courses. The Texas Virtual School Network (TxVSN) will allow eligible students to take up to two online high school courses this summer. A $25.00 administration fee will be charged for each course taken. -Student has successfully completed the 8th grade. -Student was enrolled in an AISD school in the 10-11 school year. 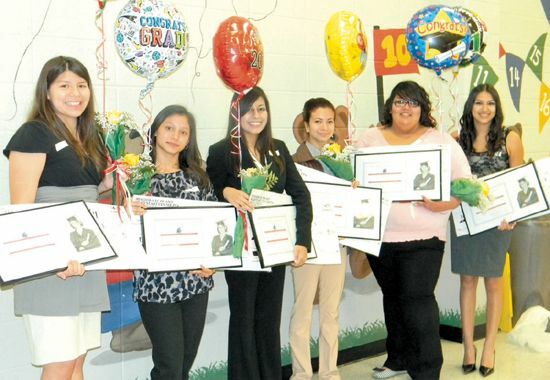 -Student is eligible to enroll in an AISD school for the 11-12 school year. -Student was younger than 21 on September 1, 2010. -Student has not already graduated high school. Course satisfies a curriculum requirement for graduation. Students must go through their school counselor in order to enroll in these courses. For a list of course offerings go to: www.txvsn.org. Should you have any questions that are not answered on the TxVSN website, please feel free to contact the Virtual School Department at 281-985-6034 or email Raylene Truxton at rtruxton@aldine.k12.tx.us. Plans to expand a waste processing facility on Little York Rd., which drew condemnation from residents and elected officials, have taken a dramatic turn. Tom Page, president of Tap Inc., has asked the Texas Commission on Environmental Quality (TCEQ) to withdraw a permit request filed over three years ago. On Jan. 30, 2008 Tap Inc., which does business as Big K, requested a Type V Municipal Solid Waste Permit Amendment to authorize processing of liquid waste. Walle said that while there were some issues with liquid waste, he did not see any problems with Big K continuing their solid waste operations,as long as they do it within the scope of regulations. “My hope is that they (Big K) will be good neighbors,” he added. When the permit request was made public, citizens contacted Walle, and other elected officials asking that TCEQ held a meeting near the facility. At the meeting held in June 2009 more than 350 people crowded into a banquet hall on LIttle York, to make their concerns known. Among the complaints were that the area constantly stinks from the waste being brought in by trucks and that Big K’s presence has caused property values to fall and that they were afraid that if the company were allowed to expand the problem would get only worse. Big K has been in operation since 1999. Tom Page bought the facility in December 2003. In January 2008, he filed the application to expand the facility, add additional operating hours and expand into liquid waste collection such as restaurant grease. The facility is currently authorized to handle only solid municipal waste. Walle was among those opposing the permit. “It always appears that our area gets the short end of the stick, Those odors can get pretty nasty when there is no power,” he told the group recalling the troubles after Hurricane Ike. Page told the Northeast News that many of the complaints about smells, hours and traffic were really a result of activity at the adjoining business, USS or United Site Services, a company which he said is not owned or affiliated with Big K.
There was also a concern over Big K’s history of violations, documented in a letter to TCEQ from the Harris County Attorney’s office. Page admitted that there were violations in the past, many of which he inherited when he bought the facility and that he was making efforts to come into compliance. In 2009, the Harris County Attorney’s office had also filed an opposition to the permit request. They cited previous environmental regulation violations and well as the proximity to residents, businesses and churches. Page now says that he has more plans for the site. He said that he intends to contain the entire facility within two buildings. To do so, he said, would only required a City of Houston building permit. NORTHEAST– Local postal patrons in zip codes 77039 and 77093 have received notice that their mail will now be distributed from the post office at 7511 N. Shepherd Drive, instead of the Roy Royall station within their district. Postal officials have not officially commented to the public about the changes, but unofficial reports from several sources have indicated to the Northeast News that the future plan includes closing the Mesa Drive Post Office, and transfering their mail to two other stations. Zip codes 77028 and 77078 would be processed at Roy Royall, and zips 77044 and 77049 would go to another location, perhaps Granville station in East Houston. Boxes with 77228 zip codes would be moved to Roy Royall. Postal patrons will still receive their mail the same at homes and businesses. But any business conducted at the post office for 039 and 093 customers, such as pick-ups of undelivered mail, would be from the Shepherd location. This procedure has already been implemented. The Shepherd station is near Little York west of I-45. An 18-year old suspected gang member is in jail, facing charges that he shot a 14-year old boy, paralyzing him from the waist down. Deon Quanell Gibson, is charged with aggravated assault with a deadly weapon. He is being held in lieu of $50,000 bond. He will next appear in the 185th District Court on June 1. On May 10 Dedrick Nash had been playing basketball at the park near Tidwell and Spaulding. After going home for a while he went back to the park around 9 p.m. to bring home him older brother. Houston Police Department spokesman Thomas Biggs, said that when he arrived at the park he walked into an altercation between reported members of the Crips and Bloods. 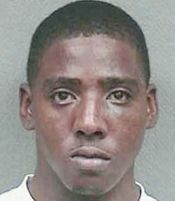 Nash told police that he saw Gibson go to vehicle, take out a pistol and begin firing. Nash, who tried to run from the scene, was struck in the back. The bullet lodged next to his spine, paralyzing him from the waist down. The boy later picked Gibson in a police lineup, investigators say. Biggs said that witnesses told police that the altercation actually started days before between members of the rival gangs, when one was beaten in a fight. The loser came back to the park, he said, looking for revenge. Facing the same person again when it appeared the fistfight would be a repeat of the previous fight, pistols were drawn and the firing began. A 23-year-old man, believed to be a gang-member himself, was also shot in the upper leg breaking his fibula. 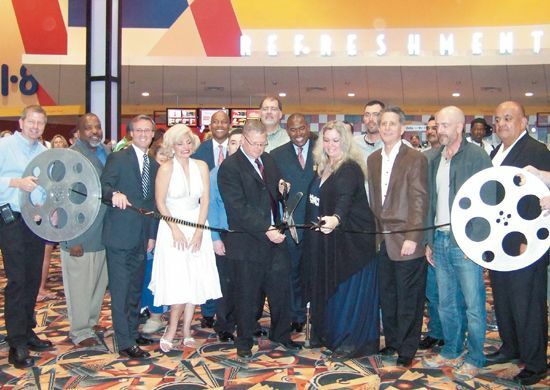 GREENSPOINT– It was an exciting Grand Opening, almost like Hollywood, as hundreds of invited guest and a few celebrity “look-alikes” gathered to cut the film (ribbon) and cake to officially open the new 20 screen Cinema at Greenspoint Mall. The event took place last Thursday night, and the theater is now open to the public every day, showing first run movies in their state of the art facility. The new 20 screen theater complex is the centerpiece of a “renaissance” planned for the mall, which will include new stores, restaurants, and an outdoor plaza and public space. This work will be conducted by the Greenspoint Redevelopment Authority, which has been planning the project for several years. Financing, leasing and permitting have all held the renaissance back, but it is expected that the cinemas will be the impetus to move the other projects forward. The new cinema has digital projection, and some movies may be shown in 3-D, according to Premiere Cinema Corporation president Gary Moore, who was present at the opening. In addition, some participants came dressed as their favorite movie characters, including Marilyn Monroe and Austin Powers. The theaters also have the latest surround sound technology, and feature a comfortable high-back seat that rocks/reclines and has retractable armrests, headrests, and lumbar support. 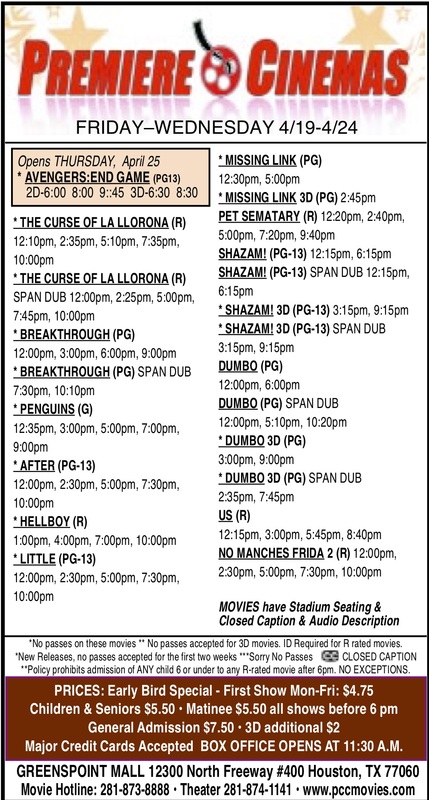 Five of the theaters in the complex have been reserved for a new IMAX® theater. Premiere Cinema has inked a deal with the IMAX® Corporation to open 4 new theaters in Texas. The IMAX® screens are 75 feet wide and 60 feet tall. Also present at the ribbon cutting, Chamber president Reggie Gray and Mall General Manager Ray Bejarano said they welcomed the opening of the theaters and the incentives they offer to other merchants to join in the renaissance of the Greenspoint area. Being called a chicken is something that most elementary students try to avoid, however a group of fourth grade Aldine students are happy to admit they are chicken. 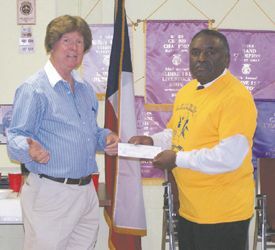 Optimist Club President Steve Mead presented the check to Clarence Johnson who coordinates the CHICKEN Club for Aldine ISD, during their May 11 meeting. This CHICKEN Club stands for- Cool, Honest, Intelligent, Clear-headed, Keen, Energetic and Not interested in drugs. The anti-drug program is similar to the DARE, (Drug Abuse Resistance Education) program offered to fifth graders. 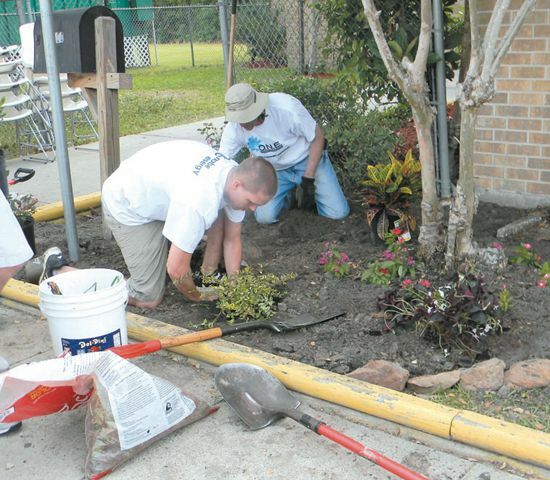 The Aldine Optimist Club was instrumental in bringing the program to the schools and has been an active supporter since its inception more than eight years ago. Last weekend was the celebration of 5 de Mayo and Mother’s Day at Northline Commons. Special guest speakers Annise Parker, Houston Mayor and Congressman Gene Green welcomed the community. Chairman of Northline Commons, Jeff J. Procell was assisting host members. The celebration started right after 11:30 a.m. and ended around 5 p.m. in which there was entertainment for the entire family with presentations of Band ‘La Traizion’, and band ‘Grupo Enzable’; radio Disney who executed some hip-hop movements and invited kids and mothers to dance with them on stage and gave prizes to those who participated in the dancing and games. 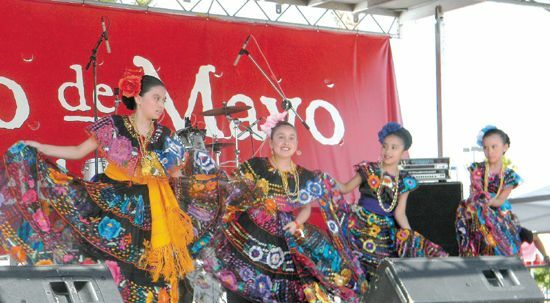 The celebration of 5 de Mayo could not be absolute without the presentation of a ballet folklorico, a group of professional performers dancing traditional Mexican music and wearing the distinctive clothing, and the Mariachi; these last two presentations are typical in celebrating 5 de Mayo. Some local organizations such as Houston International Chamber of Commerce, Houston Community College and Northeast Campus were providing information as well as offering their services and products to the community. The event was well attended, people were dancing and kids were playing at the moonwalks; it ended around 5 p.m. with the presentation of the band ‘Tam y Tex’.